As we roll into August, we see a new school year approaching and summer coming to an end. For many, this is the opportunity to head out one last time to a favorite summer spot for some fun in the sun. With sun comes water and with water comes a splash! 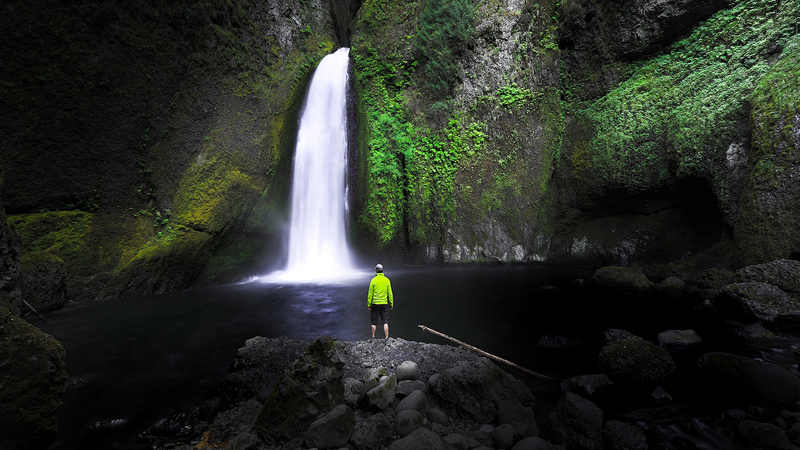 We asked our Lowepro Storytellers to show us how they make a splash! A splash comes in many forms. Ocean waves crashing on a beach, a mammal splashing into the ocean after doing a flip or even the natural movement of water falling from beautiful moss covered rock. 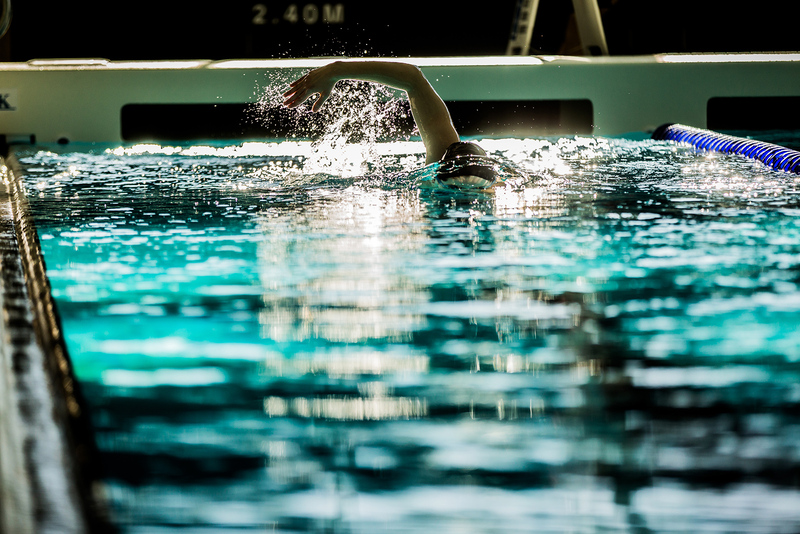 A splash is one of the most soothing sounds known to us. The larger the splash the more impact it has on us. It has the power to bring us to a meditative state, sending unique sound waves to calm our nervous systems and ultimately our soul. 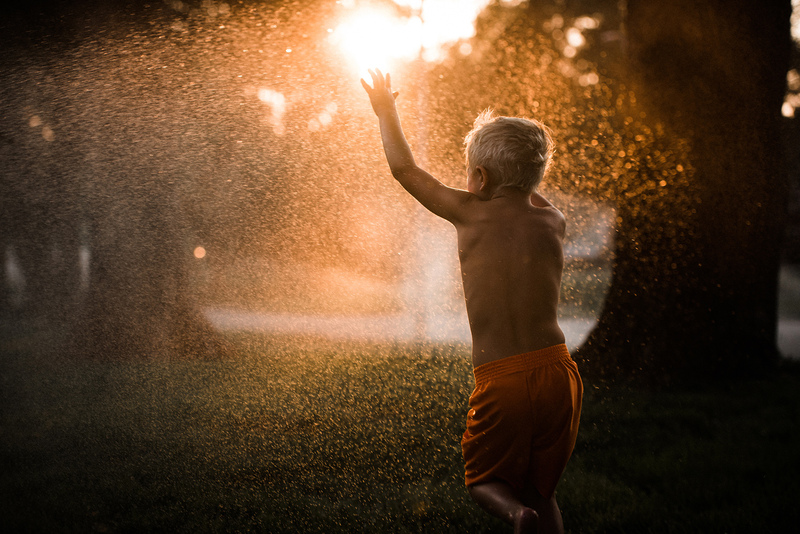 Running through sprinklers at sunset…the true definition of summer! 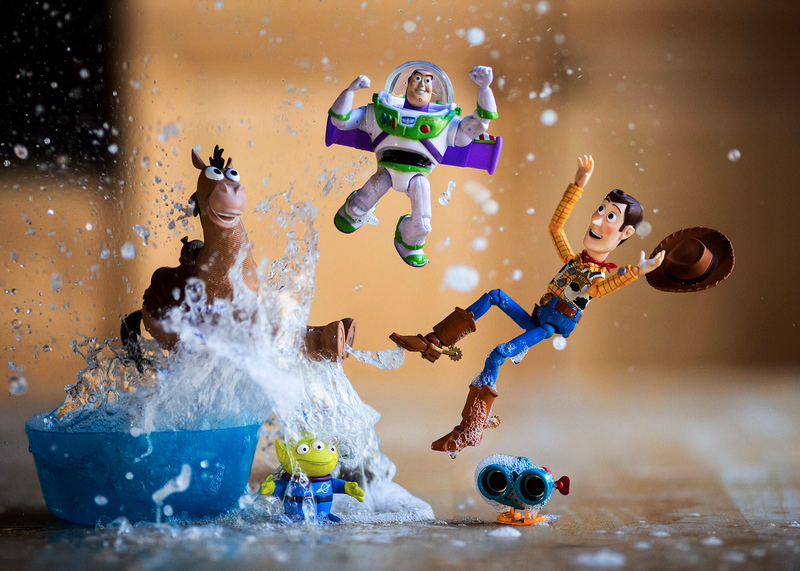 Riding a wave can create the ultimate splash! I really love shooting the aerial perspective of surfing. 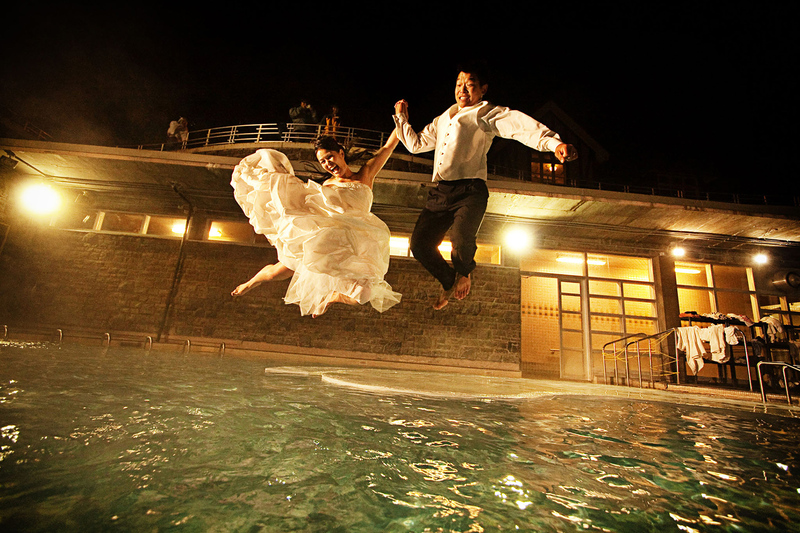 It is a solid challenge to try and capture each sequence of catching, riding, falling or jumping off. This image was taken at one of the more well known breaks in Portugal, a place to watch some of best surfers in the world on any good day. *Side note: Kelly Slater was here the day after this was shot! 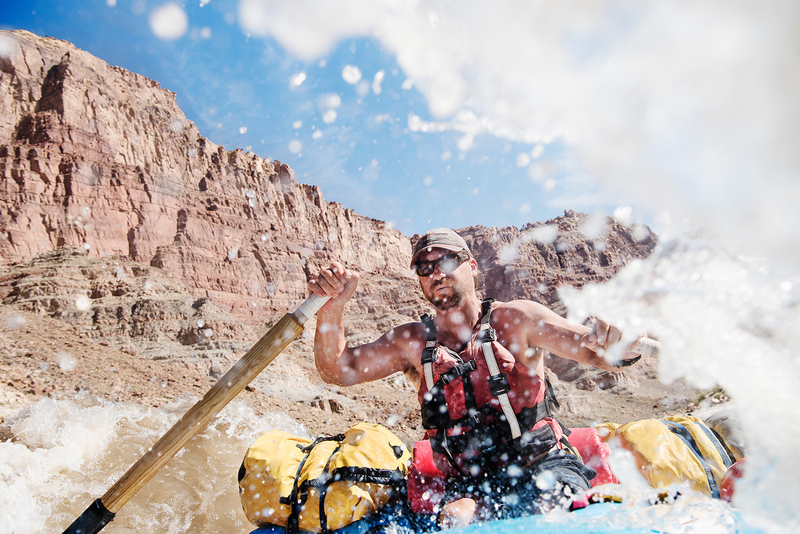 I shot this image while rafting down Cataract Canyon. This section of the Colorado River goes through Canyonlands National Park in southwestern Utah. In late spring the river crests with the snowfall from the Rockies (which is when I rode the river). The rapids in this section of the river are class 5 and are the biggest in North America. This shot tries to capture that action from the nose of the boat while I shoot with my Nikon D810 in an Aquatech housing. My camera was attached with carabiners to my life jacket, just as much to keep it from getting washed away as to keep it from hitting other guests. My Lowepro DryZone 200 served me well on this trip, allowing me quick access to my gear while on the river. 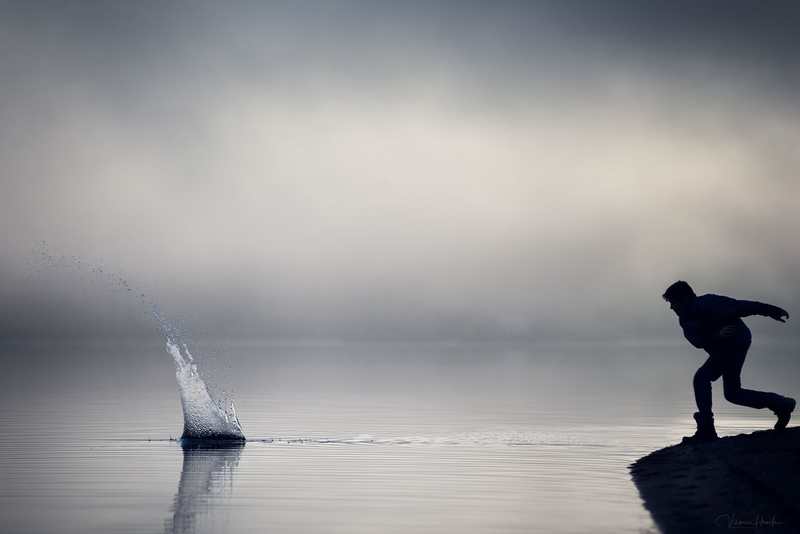 Winter mist envelopes everything in silence…the only sound….a splash…as the stone hits the water! I used my new Broncolor RFS 2.2N trigger to sync my Broncolor Scoro S Pack and Nikon D5 at 1/8000sec shutter speed to freeze this splash. 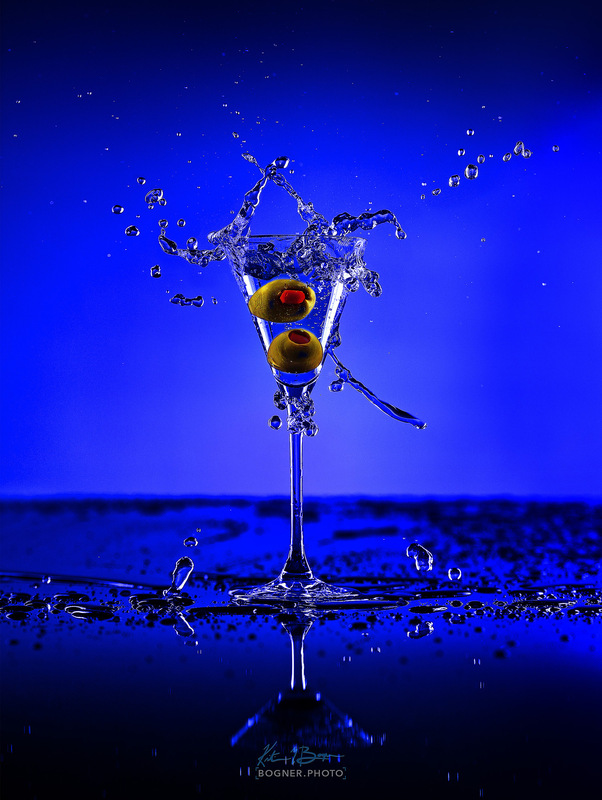 I dropped the olives with one and fired the shutter with a remote using the other hand. My pack was capable of multiple FPS so it made capturing an interesting splash a lot more fun. To me, each succession of waves that moves in and recedes is like watching a campfire – something you can get lost in it. 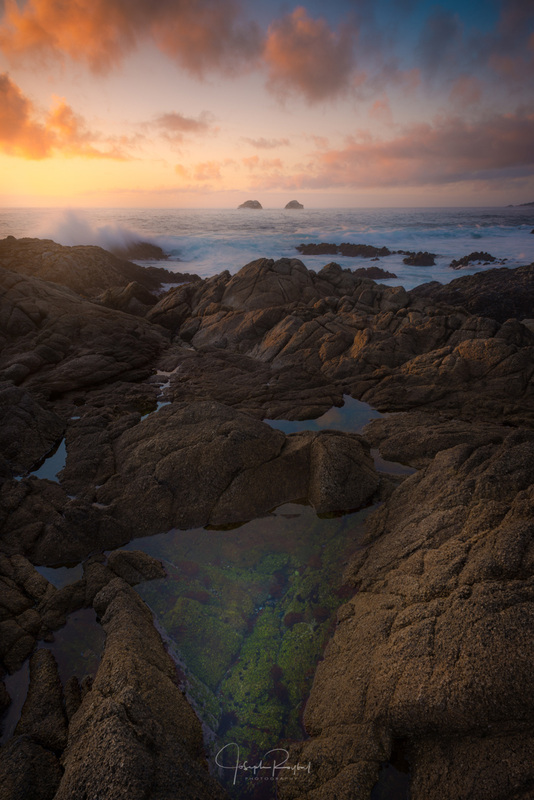 The movement of water and waves in a scene like this is incredible. Being hit by spray brings it to life. 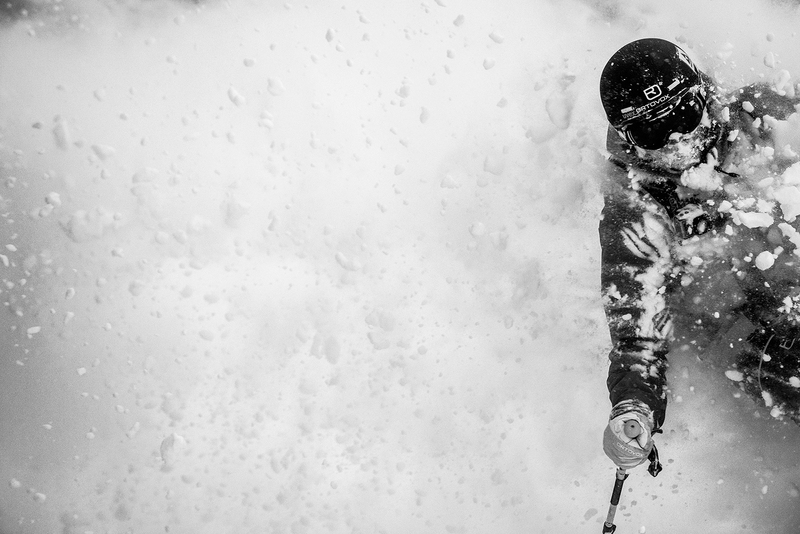 A splash of snow is one of the most exciting moments in a ski photographer’s life. So rare and so tricky to capture a frozen moment that drives me to chase snow every winter and go wherever the weather commands. Interstellar may have blown our minds by showing us what another dimension may be like, but we only have to go so far as the nearest swimming hole to actually feel it. Being enveloped in water can feel like a surreal experience, and photographing humans and water is my favorite thing to do. The word splash just yells out at you, it comes with great force or just a gentle nudge. Not only can it involve water, it can mean a splash of colour to make a piece vibrant. 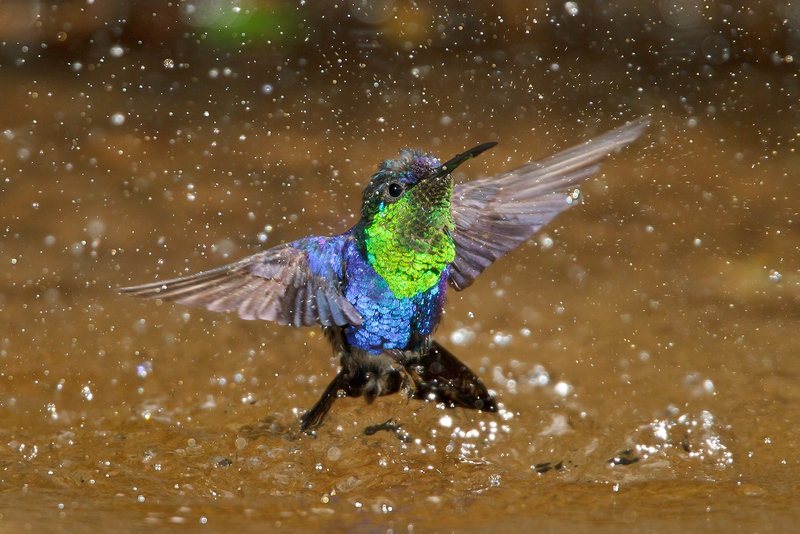 A stunning Crowned Woodnymph Hummingbird splashes around in a small stream while bathing. Nestled on the east bank of the Hooghly River, a distributary of the mighty Ganges, Kolkata is the primary commercial, cultural, artistic and intellectual centre of East India and the capital of the Indian state of West Bengal. With a population of nearly 15 million people — making it India’s third-most populous metropolitan centre — Greater Kolkata heaves and churns with a crush of humanity. I criss-crossed the feverish metropolis for four days this past May while shooting an assignment for SilkAir. 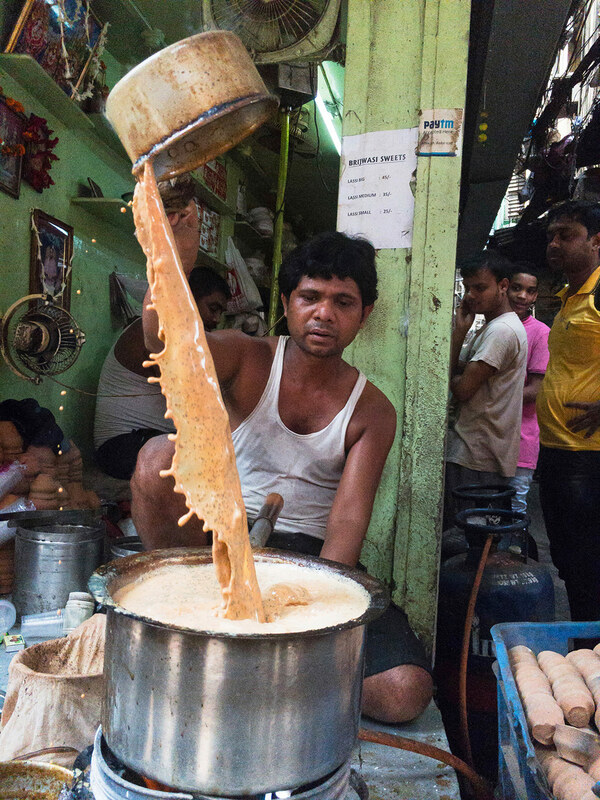 It was in central Kolkata’s frenetic Burrabazar that I spotted this kulhar wali chai (traditional chai tea served in an earthen cup) vendor putting on a “splashing” show for the market’s parched patrons. One of the things I’ve come to be known for is my use of splashing liquids as a tool for storytelling. That includes water, milk, coffee…whatever fits the story. I’m drawn to using liquids in my images because of the mediums’ ability to add dynamic motion to the scene, and also because of the challenge of trying to control a largely uncontrollable medium. I occasionally will get lucky and nail a splash on my first try, but more often than not I can count on multiple takes before getting a splash I’m satisfied with. 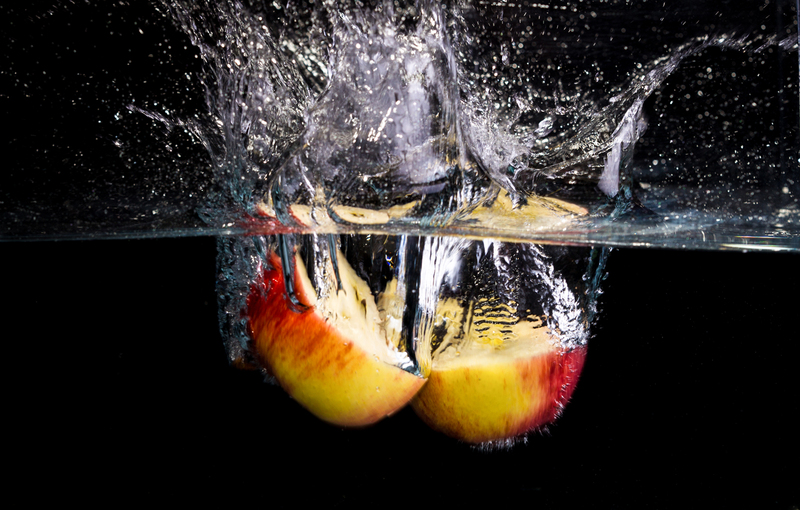 There are numerous ways to get liquids to splash on a smaller scale like this. You can blow through a straw directly onto the liquid, creating a splash, or you can use compressed air to do the same thing. 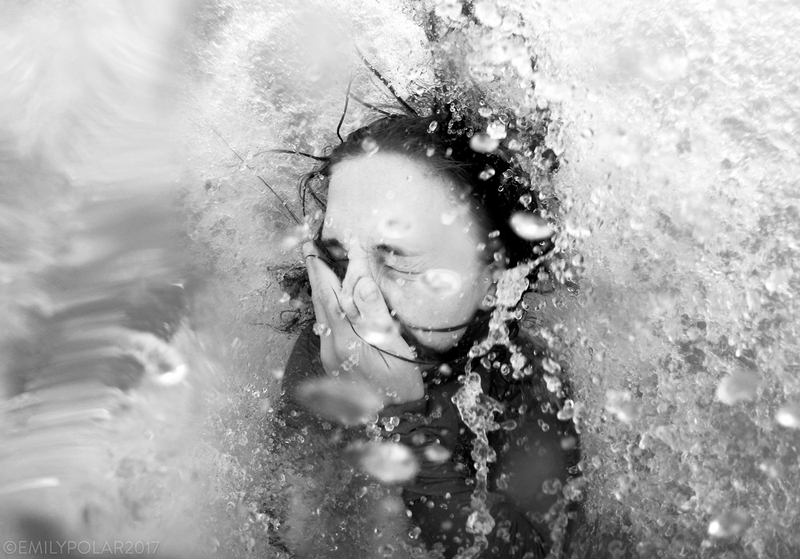 Experimentation, repetition and patience is the key to getting the best splash possible. It can be a time consuming process because so much cleanup and resetting of the scene in between takes is required, but the results are often amazing and well worth the added effort. When you get the call to document the test dive of a 1.5 million dollar prototype submarine in the beautiful blue water of Lake Tahoe you just say “YES!” My assignment was to shoot a new two-man submarine called the DeepFlight Dragon. The story ran as the feature in Lufthansa Airline’s inflight magazine (November 2016). -The DeepFlight Dragon is a prototype and currently the only one of its kind in the world. good for 8 hours of dive time. float back to the surface. 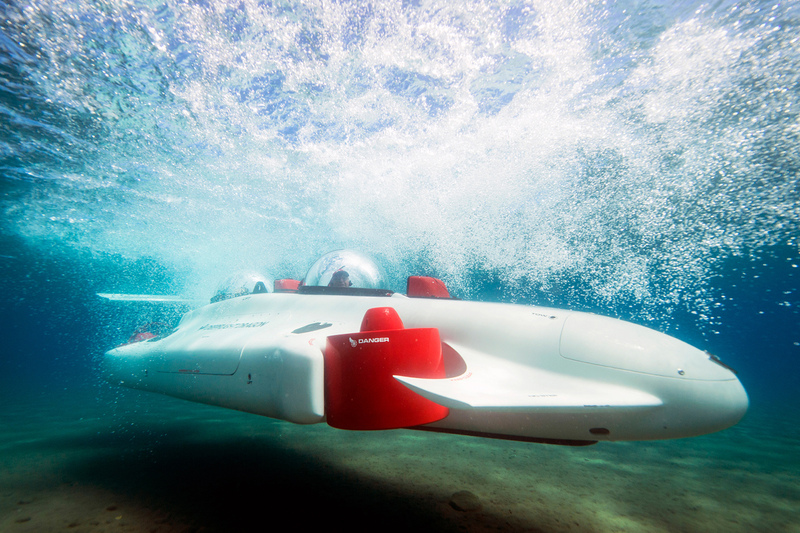 -DeepFlight is based near San Francisco, making Lake Tahoe the closest clear water to test the sub. 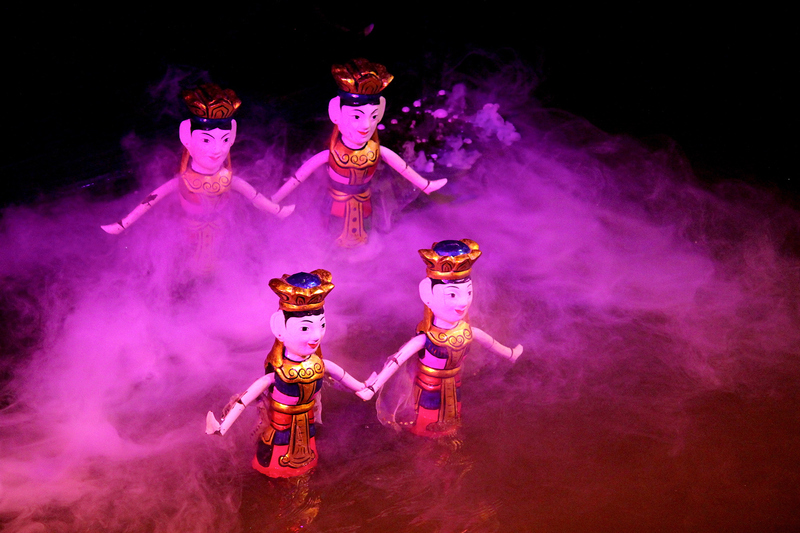 Water puppetry is a traditional Vietnamese art form that dates back several centuries and is performed in a shallow pool of water. The wooden puppets are manually controlled behind a screen by master puppeteers who splash them through the stage with precision and skill. During the performance you will see dragons shoot sparklers out of their mouths, dancing turtles, colorful swimming birds, men riding ox and speedy fish, all telling a special story. 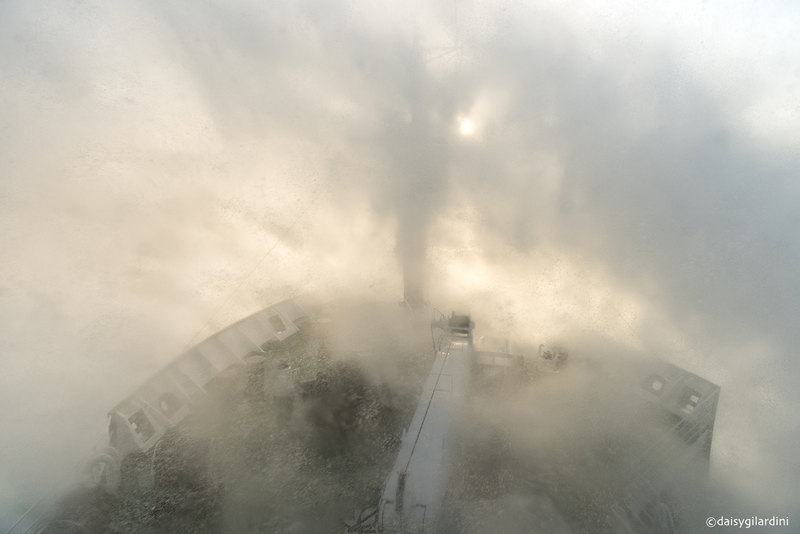 The crossing of the notoriously WILD Drake Passage in the Southern Oceans could be very adventurous at times. 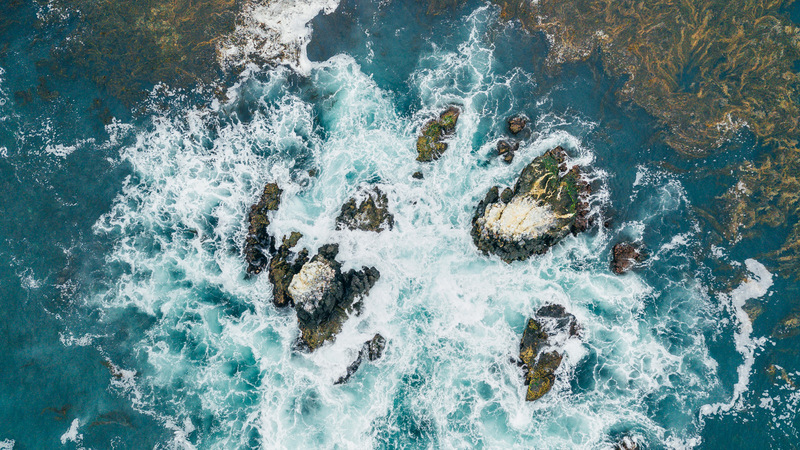 The oceans current crashing on rocks creating a beautiful splash of waves from above. Being able to see the ocean from another angle beside eye level is like rediscovering a new world. There’s nothing like a summer sunset out on the lake!